Tomorrow morning another Groundhog Day will be upon us. While I know many of you may be lax in celebrating the historic day, this year will be different. Tomorrow morning, we’ll be doing Groundhog Day “DEN Style”. 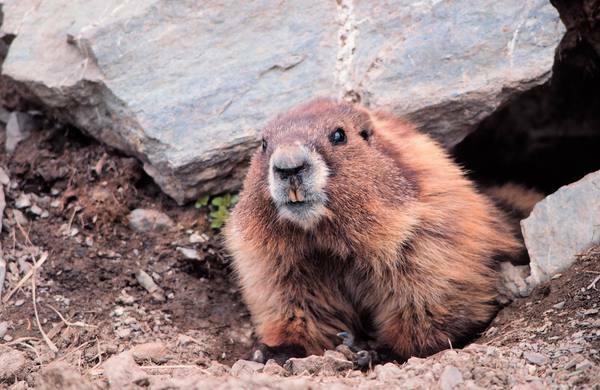 Right here on this blog, we’ll be doing a live broadcast with our very own DEN groundhog! And no, I’m not joking. Will he see his shadow? We don’t know. Will he be ’shadow-free’ and signal an early end to cold weather? We don’t know that either. The only thing we DO know is that he’ll be sharing the Top 5 Streaming Resources About Groundhog Day! Trust me when I say you will NOT want to miss this. Keep an eye on this blog tomorrow morning. We’ll be broadcasting the groundhog beginning at 7:30am EST. Don’t be late! And tell your friends to join us here @ http://denblogs.com in the morning. Photo: Close-up of Groundhog. Discovery Communications, Inc.. 2010. Thanks to Steve Dembo for this post.